Formal notice is hereby given that we will be holding our AGM in the Ardboyne Hotel on Saturday the 16th of April 2016 at 2pm. Please email any item you wish to add to the agenda. If you are unable to attend and wish to vote on a ballot if any, a Proxy form is available on this website in the “contact” section or by contacting us. Following the AGM which was held in the Ardboyne Hotel on Saturday 16th of April at 2pm, please find below a copy of the presentation and detailed architects drawing which were discussed at the meeting. Since JPP first launched in late 2014, we have had a massive increase in support. In fact if you are not contributing to the maintenance and development of this park that we all collectively own, you are now in a fast shrinking minority. Inspired by your commitments we remain dedicated to voluntarily overseeing the collection of maintenance fees and ensuring these fees are spent purely on the betterment of our park while impacting positively on our neighbourhood as a whole. No money of any description has been paid to any volunteer or director of JPP since its creation, and it will stay this way. Please don’t put it off any further, set up your fee payments. A year and a half has passed us already. On Saturday the 2nd of April next we will be organising our Spring Clean. Overall the park is a lot cleaner than this time last year but it still needs a going over. AES waste will be donating & delivering a skip at 11am and collecting at 1pm. So if you can spare and hour to help, please come along. Gloves, bags and litter pickers will be provided as always. The last two cleans were a great success and thank you to all concerned, especially the kids and teenagers who were a great help and a lot faster than us. It was inspiring to see the younger generations taking pride in their neighbourhood. Firstly, if you have paid the 2015 fees (€60) by cheque or bank transfer, this payment is now due again for 2016. We would prefer the monthly standing order for€5 to avoid us having to try and collect the single payment each January and also to help us budget. This form and our account details along with anything else you need are on this website. If you have already been paying by standing order then that is perfect. Just make sure to address any outstanding arrears prior to 2015 before interest is applied. Our fees are €5 per month by standing order (the full €60 for the year can be paid by cheque or bank transfer if you really prefer). Our debt restructuring deadlines have passed on 31/12/15, hence any account in arrears which did not take advantage of the offer will now have the full original balance outstanding and interest will now be applied. Statements and invoices for 2015 and 2016 are now being issued. These statements should reflect all payments and discounts agreed and help keep you up to date with your account. If you are unsure about any part of these statements please just contact us. Due to a massive response to our debt restructuring plan in 2015, we have extended the deadline until the end of 2016. This agreement form once returned will cut your arrears in half and we will freeze the remaining half until sale or transfer of the property. This agreement will also ensure that no interest is applied to the remaining arrears. This is 50% off your arrears and the remaining frozen. If you were unaware of these fees when you purchased your property, just give us a shout and we can clarify everything and point you in the right direction. The longer it is left the more arrears and interest will accumulate. Every house has an account and it is your responsibility to ensure the arrears are in order. Your neighbours have made it clear that they care about the neighbourhood and we would urge you to finally take ownership of your park, to pay your fees and address any arrears; you owe it to your neighbours to do your bit. In case you need convincing, you also have a legal requirement to pay these fees, which are not a lot. They are just enough! €5 per month. Using your Gift Cards Once the Gift Cards are purchased, you shop as normal in your local TESCO store. Hand the Gift Card to the Cashier when you are at the checkout and paying for your groceries or fuel. 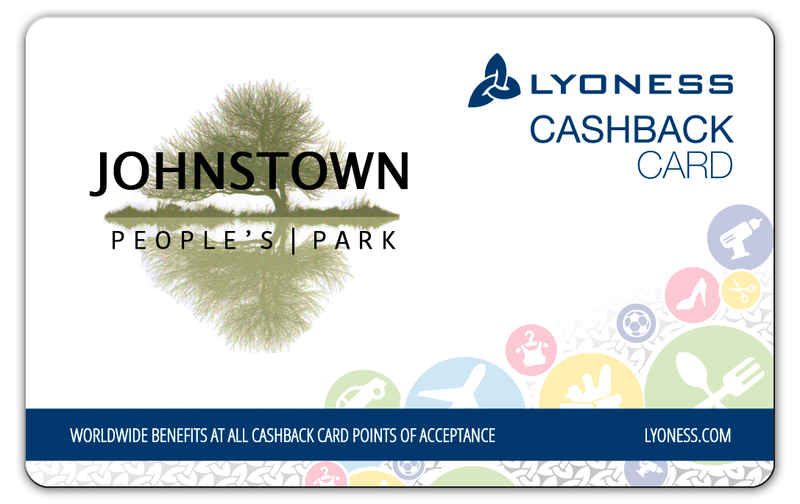 You do not have to show the Cashier your Lyoness Cashback Card at the till. You will get great value at Tesco whether you are shopping for groceries, clothing, gifts, entertainment, hardware, homeware and so much more. With 149 stores in the Republic of Ireland and 22 petrol filling stations, there are lots of ways to get even more value with your Tesco gift card. The much talked about playground is still a work in progress. The short version is that MCC came back to us last September and asked us to employ an architect to draw up a “master plan” for the park, allocating space for the playground. This has been completed and sent back to the council for their input. Things like this always take time and we are always planning the development with or without a playground should the council decide it is not a runner. Let’s not forget that if this goes ahead we need to ensure we do it correctly. A lot of energy has gone into this process and we would expect an agreement soon or we will simply focus on our own development strategy. 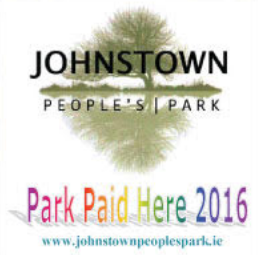 Johnstown football club (JFC) and Walterstown GAA club have both expressed an interest in using our park. All parties are aware that any use will depend on when the car park is installed. This ties in with the playground proposal currently with MCC as the car park will be used for both. When council involvement is confirmed, usage agreements will be mutually agreed with any sports club before commencement, taking into account multiple factors. If a local club is using this park we want to do it right and this may take a bit of time, but it is progressing. In the short term, Walterstown GAA are hoping to hold registration event days during 2016, which will see some of the minor teams training in the park to promote awareness and encourage our local young ladies and gentlemen to join. 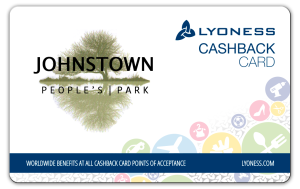 Similarly, Johnstown football Club are hoping to organise a summer world cup for minors in the park. Like all events, alerts and notices, we will email you these details when we know more, assuming we have your email address. We still need to accumulate an excess of 6-10K to start this project without impacting on our yearly cash flow. Please be assured that this project remains a priority as further projects depend on the secure monitoring of the park. Once the CCTV system is live, we can install benches and bins etc, safe in the knowledge that should intentional damage occur we will have the footage to prosecute. Just to clarify, these cameras will not cover any person’s private property as is the law. They will simply cover the interior and exterior of the park grounds to include estate entrances. They will have night vision and zooming capabilities. All railings, walls and pillars to be deep cleaned including graffiti removal. Iron/steel gating on Pedestrian entrances (Lockable) Please note that we will get one done every few months. We coordinated numerous measures to deter a bonfire in our park in October 2015, including closing and gating the park for two weeks prior to Halloween, removal of stored fire material from the hedgerow, increasing our mobile security to 10 patrols daily, issuing email alerts, distributing flyers, erecting warning signage and establishing a text alert system between many local residents who were prepared to dismantle any bonfire at a moment’s notice. We had two large vans and drivers on standby to assist with the removal of any material meant for burning. – All these factors combined prevented this fire taking place and more importantly the public disorder that is associated with such an event which we witnessed in 2014. It just goes to show that with greater support from all the residents we can effect change. These measures will be repeated in 2016 along with a few extra ones, and with greater efficiency and more support we are confident that we will again prevent these unwanted actions in a park that we all have to pay maintenance for. Basically if you build a fire we will take it down, so please don’t. All the residents are paying money to maintain and develop our park. No council money goes towards this. On the 1st of May 2015 our mobile security patrols commenced for a continual assessment period. We have authorised approximately 730 annual patrols at key times and at with secondary follow ups by the security team if deemed necessary. They are tasked with ensuring that the park rules are adhered to and will be permitted to instruct people who are not acting in accordance to these rules to vacate the area as it is private property. These patrols have given us information on particular areas and other elements which we will continually monitor. The Park rules are hung at 8 locations around the park and are available on this website for download. The key words here are “Private Property” which gives us to power to restrict any behaviour deemed unacceptable and with the added bonus of being able to call on the Gardai as any illegal act is covered by their remit whether it is on public or private property. Over time we will restructure these patrols to be more focused on key locations and times based on the knowledge we are gathering. All instances will be recorded and if necessary, any information needed will be passed on to the Gardai for prosecution. Private civil prosecution is also an option. We have been instructed to keep reporting any incidents to Navan Gardai as resources may improve in time and it is important to build up a catalogue of reported cases to hopefully influence more efficient controls in the future. This applies to any illegal activity anywhere. This entry was posted on Sunday, February 21st, 2016 at 12:54 pm	and is filed under Uncategorised. You can follow any responses to this entry through the RSS 2.0 feed. Responses are currently closed, but you can trackback from your own site.